The LG SJ7 can be set up as a traditional soundbar, as a pair of vertical stereo speakers, or you take it on the road as a portable battery-powered Bluetooth speaker. Of all the soundbars I reviewed recently, LG’s Sound Bar Flex SJ7 is the most unique. The typical soundbar is just that: A monolithic, bar-shaped speaker that can rest in your entertainment center in front of your TV, or mount to the wall beneath a wall-hung flat-screen. LG not only built the left and right channels in discrete enclosures, they tossed a battery into the right channel so you can operate it as portable stereo Bluetooth speaker. The Flex SJ7 is rated to deliver 320 watts of power in total, with 60 watts going to each of the front speakers and 200 watts going to the wireless subwoofer. The speaker has an HDMI input, but it’s HDMI 1.4. That means it doesn’t have the bandwidth to support 4K Ultra HD video. If you’re using a 4K streaming box or an Ultra HD Blu-ray player, you’ll need to connect the source directly to your TV for video. You can then use either the speaker’s Toslink digital optical input for audio content. You can also stream music to the soundbar via Bluetooth. There’s a USB port, but it’s for service only. There is a single HDMI output with ARC (Audio Return Channel) support, but here again, it’s HDMI 1.4. ARC enables the speaker to receive audio from the television while audio and video from an HDMI source travels in the other direction.ARC is an extremely convenient feature that simplifies the cable clutter with your TV. Your television must also support ARC for this feature to work. 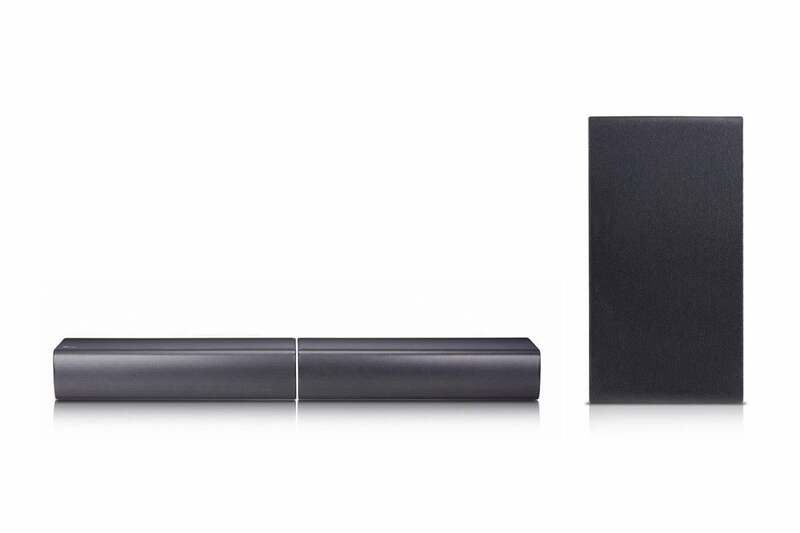 The LG SJ7 sound bar consists of individual let and right speakers can can be combined to form a traditional sound bar or stood upright like traditional stereo speakers. The Flex SJ7’s Bluetooth feature isn’t just for streaming music. You can also send audio to select LG TVs via Bluetooth, reducing cable clutter even further. My TV doesn’t support Bluetooth, so I wasn’t able to test this feature to see if it works with other makes and models. 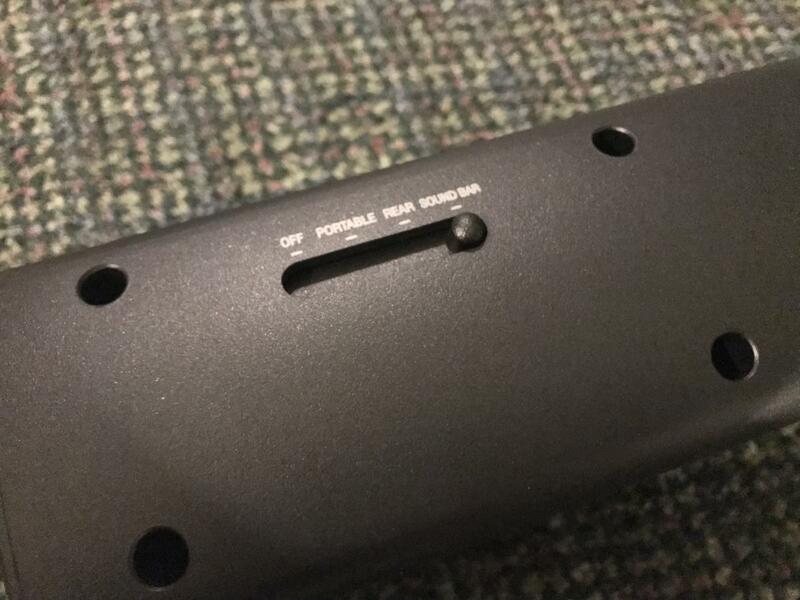 One notable feature you won’t find in this soundbar is network connectivity. You can’t stream music from a DLNA server on your local network, nor can you stream from internet-based streaming services such as Spotify or Tidal. You can stream from network or internet sources from your smartphone or tablet, but that’s not an ideal solution because it ties up those devices and renders them less mobile. The Flex SJ7 arrived for review packed in a single compact box, a far cry from the long and narrow soundbar boxes that have been dropped on my doorstep over the past few months. I did a double take because I thought that the actual soundbar had gone missing in transit and this box was only the subwoofer. It hadn’t and it wasn’t. The Flex SJ7 is just that small. LG’s unique soundbar functions as either a 2.1-channel stereo or a 4.1-channel surround sound system. Install the stereo speakers side-by-side horizontally at the front of the room and you have a somewhat conventional soundbar reinforced by a subwoofer. Separate them and mount them on the included stands and you have a 2.1-channel bookshelf system. Put one speaker at the front of the room and the other in back, and you have the makings of a true surround-sound system, with two front channels and two surround channels. The two speakers communicate with each other and with the sub wirelessly. A switch on the back of the right speaker determines which scenario is in play. A small display on the left speaker shows the current input, volume, and other settings you’re changing. When you activate a control item, the display brightens and then dims after about 12 to 13 seconds. The display was bright enough for me to read from 12 feet away, as long as the speaker was oriented horizontally. 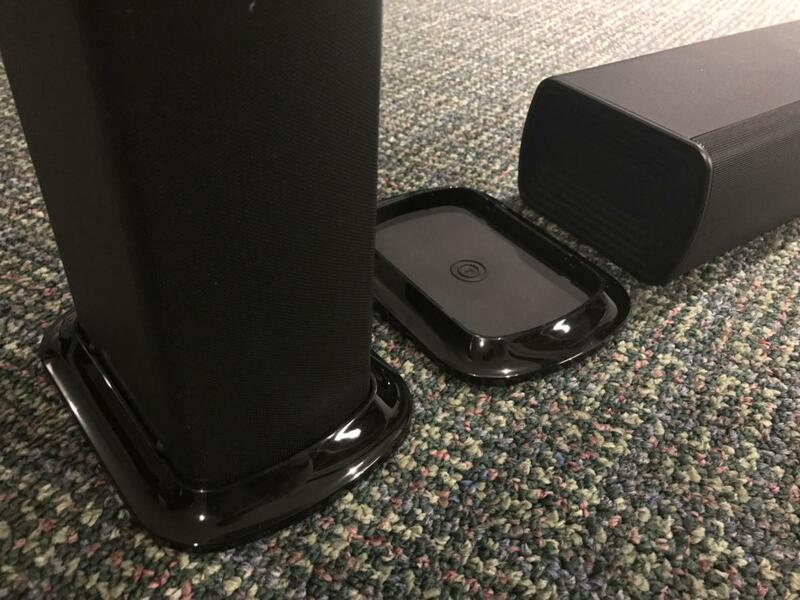 Mount the speakers on the included feet so they’re vertically oriented and you’ll need to tilt your head to the right to read it. If you put the soundbar speakers in a vertical position, the display stays in the horizontal orientation so you’ll need to tilt your head to read the text. The included rear-ported subwoofer is wireless and paired instantly with the soundbar when I set it up. The diminutive sub delivers a pretty good wallop, but the lack of deep bass response is palpable to anyone accustomed to listening to larger units capable of lower frequency response. While I’ve talked about the Flex SJ7 as a soundbar, this speaker system has yet another trick up its sleeve: The right speaker has a rechargeable battery. Move the right speaker’s function switch to “Portable,” and you can take that speaker with you and use it as a wireless Bluetooth speaker. The onboard 5200mAh rechargeable lithium-ion battery will give you up to four hours of wireless playback. LG says a full recharge using the AC adapter takes about three hours and 40 minutes. And the internal battery’s usefulness isn’t limited to Bluetooth speaker mode. You can also use the right speaker—running only on battery power—for rear surround mode, too. A switch lets you select which mode you want the soundbar to function in. This is an interesting concept, but it does have quirks. You must be attentive to which mode you’ve engaged for the rear surround option to work. If I put the Flex SJ7 in standard or ASC sound modes, for instance, the rear speaker wouldn’t produce any sound. But when I switched it to Cinema mode, the rear speaker engaged. I also discovered another trick: Put the speaker in standard or ASC mode and then press Surround on the remote, and bingo! The rear speaker will start working. I’m not sure if this is a bug or an unintended feature, but one would think moving the switch on the speaker to Rear would be enough to enable the rear-surround mode. The Flex SJ7 can do some pretty cool tricks, but how effectively does it pull them off? The first thing I noticed was a collapsed soundstage when I put the system into surround mode and put one half of the soundbar at the back of my home theater. Audio became very two-dimensional at the front of the room. The LG Sound Bar Flex SJ is nothing if not compact. The other bothersome thing I observed is that dialog would sometimes creep into the surround channel. 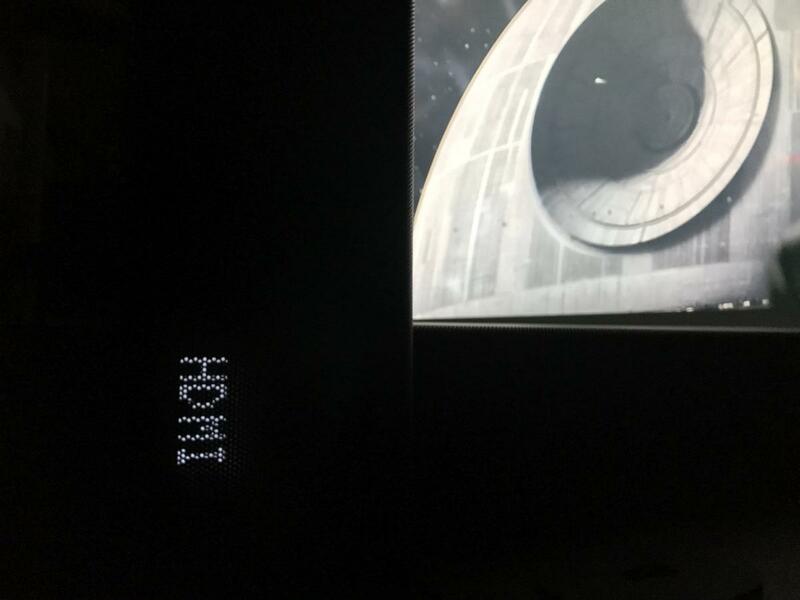 In the 15th chapter of Rogue One: A Star Wars Story, for instance, Jyn Erso is in an alleyway with Cassian Andor, and her line “Tell me you have a backup plan” emerged from both the front and rear speakers. This phenomenon was even more pronounced in the 28th chapter, “Jyn Before the Council.” Anytime one of the members of the Rebel Alliance would speak, I’d hear their voice from both the front and the rear speaker. Some people will like this effect, but I found it distracting. A better solution would have been for LG to offer an optional second left/right pair of Flex SJ7 speakers that could be added as rear surrounds without taking anything away from the front of the room. 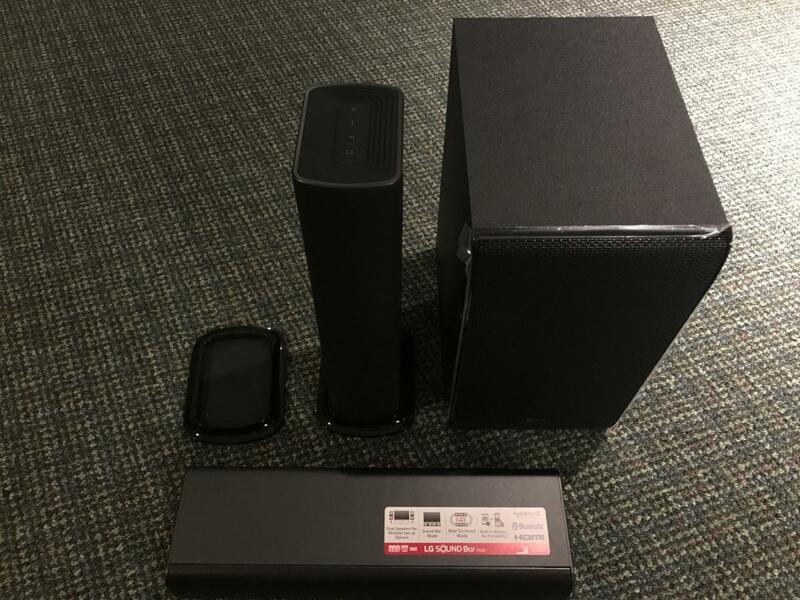 I played the LG Flex SJ7 in three different configurations: I set it up as a horizontal soundbar with a subwoofer, vertical bookshelf speakers with a subwoofer, and in 4.1-channel rear surround mode. I think most people will prefer the traditional horizontal soundbar for watching movies, and bookshelf speaker mode—with the right and left speakers toed in to create a sweet spot—will appreciate the enhanced imaging and depth that configuration creates. As it stands, the rear surround mode is essentially a clever gimmick. The included stands (feet is perhaps more accurate) transform the Flex SJ7’s front channels into bookshelf speakers. LG’s Flex SJ7 speaker system proved to be a solid sonic performer no matter what I played through it. Dialog was clean and clear, dynamics were good, and the system always created a solid soundstage (apart from surround mode, that is). In Rogue One, Chapter 15: “Holy City Ambush,” Saw Gerrera’s fighters ambush an imperial patrol. Blaster fire and explosions abound—including the collapse of an entire building. The Flex SJ7 did an admirable job of reproducing the complex dynamics and ambient sounds in that scene. 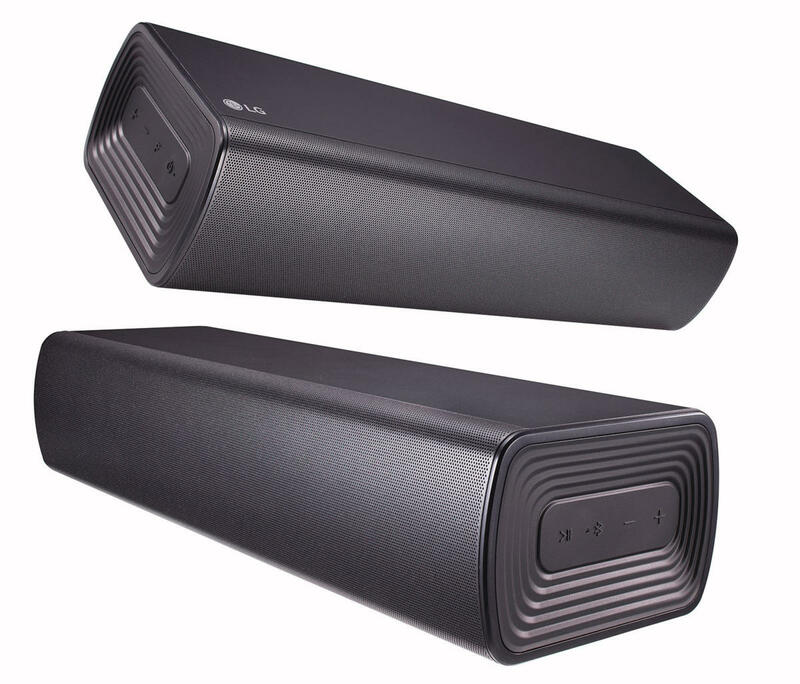 For those primarily looking for a soundbar to make dialog more intelligible, you’ll be pleased with the Flex SJ7. In no instance did I feel as though I was struggling to hear what was being said onscreen. Unlike some soundbars that have a dedicated voice-enhancement features, the Flex SJ7 uses a setting called ASC or Adaptive Sound Control that automatically detects the type of content you’re watching and enhances the audio accordingly. It worked well in my testing; but for those who want a dedicated dialog-enhancement setting, ASC might not be exactly what you’re looking for. Calling the LG Sound Bar Flex SJ7 a simple soundbar doesn’t do the product justice. It’s far more than that. It’s a slick surround-sound solution that caters to today’s portable lifestyle. If you’re looking for a single, reasonably priced product that can move from your home theater to your backyard to the city park, you’ll love what LG has created here. LG's Sound Bar Flex SJ7 elevates the notion of versatility to a whole new level. Theo Nicolakis is a C-Level technologist and digital communications professional. He's also a passionate audiophile and home theater aficionado.